The Business Communication field is at a crossroads as communication technologies are reshaping how people communicate in the workplace. 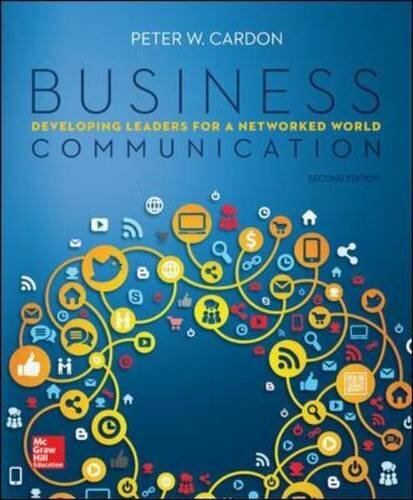 Business Communication: Developing Leaders for a Networked World, by Peter Cardon, puts students at the center of business communication through the author’s unique focus on credibility woven throughout the textbook chapters, forward looking vision built on traditional concepts, and practitioner and case-based approach. Students are more likely to read and reflect on the text, and are better positioned to understand the essentials of efficient and effective business communication, thereby transforming them into leaders for a networked world.